Justin Evans was born ad raised in Utah at the foot of the Wasatch Rockies. He graduated from Southern Utah University with a degree in History and English Education. His poetry has appeared in various journals to include, Petroglyph, The Briar Cliff Review, and The Eleventh Muse. 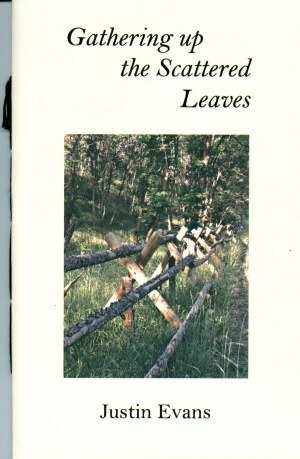 In 2005, his first chapbook, Four Way Stop, was published by Main-Traveled Roads. He was also nominated for a 2005 Pushcart Prize. He and his wife, Becky, are raising their three sons, Kaelan, Alec, and Ryan in rural Nevada, where Justin teaches history.